There are many reasons why businesses are turning to PEOs, including finding solutions to human resources management, payroll processing, tax and insurance compliance and even employee benefits administration. 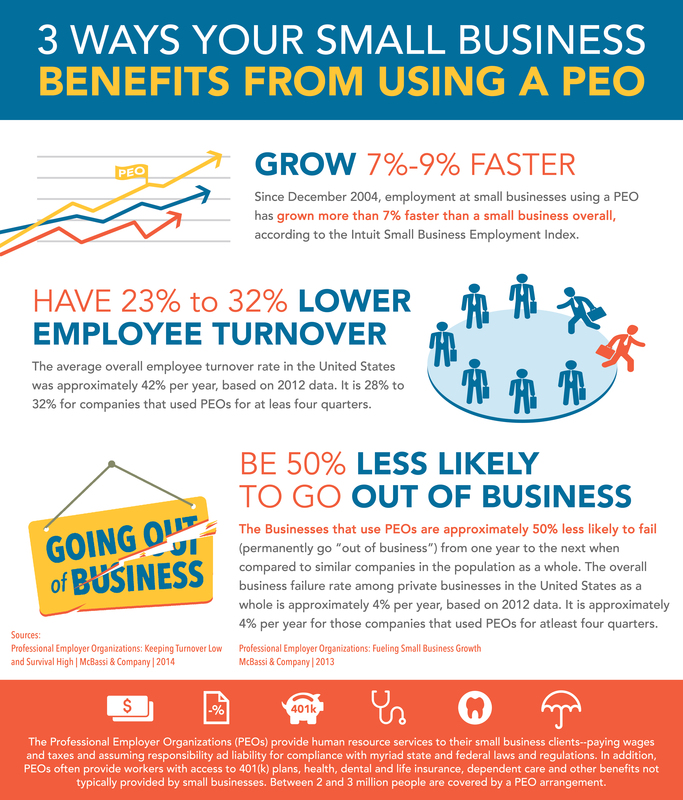 PEOs have been proven to be effective in lowering overhead costs, reducing turnover rates and providing a better working environment overall. With Employee Leasing Experts by your side, your business can reach it’s maximum potential — and it all starts with a Free Quick Quote! and advantages, offered by a PEO.